This month’s images have more of a post-war flavour. The first drawing is of a cow, uncharacteristically without a Land Girl. Around its neck hangs a chain with a Women’s Land Army badge. The cow also wears a hat and looks suspiciously at the reader. Somewhat comically, a piglet appears floating above the cow’s back. 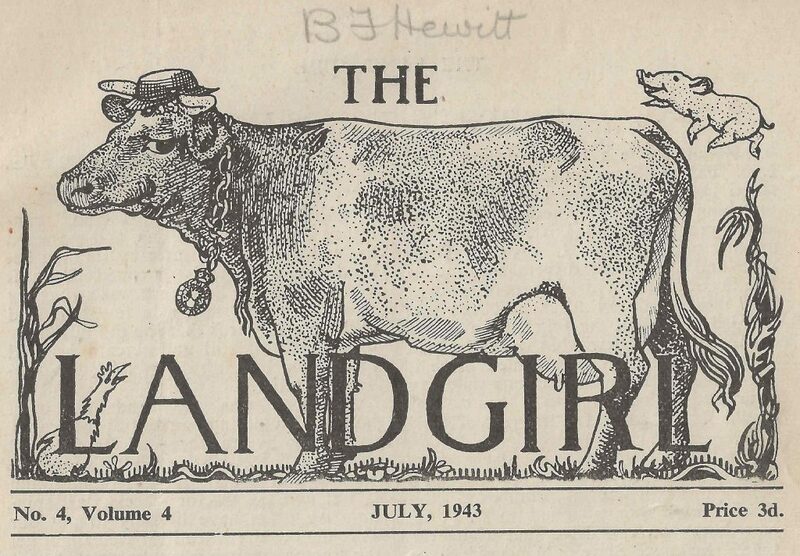 Overall, a very humorous drawing for the July 1943 edition that focuses on the personality of the animals which women soon began to understood as they spent long days with them! 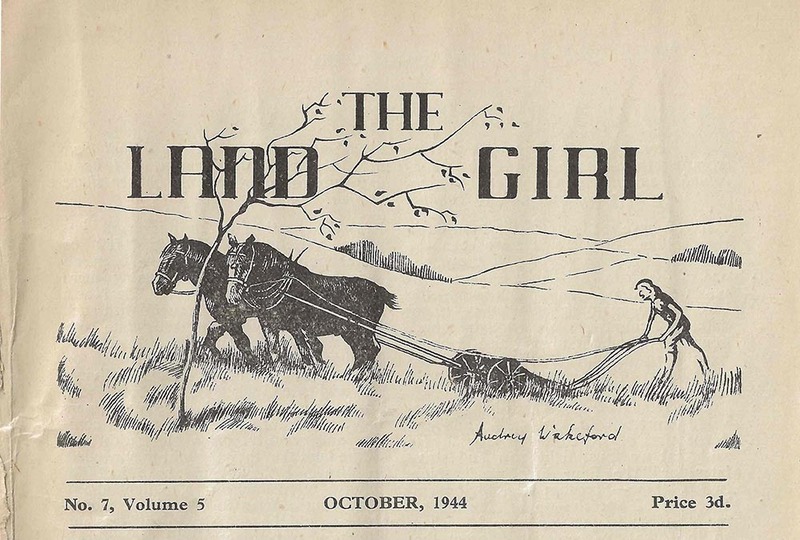 Moving forward three years to July 1946 and we see a Land Girl lying on top of hay, pulled by two horses. 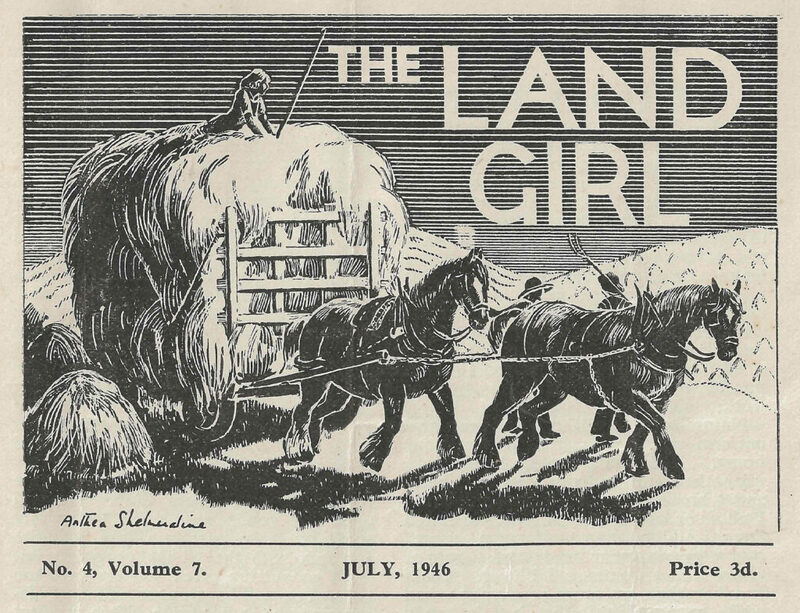 She looks quite at ease, as two other women appear together, presumably after harvesting the hay. This drawing appears to capture a scene at the end of a working day, showing the product of the women’s labours, often spending long days in the sun. 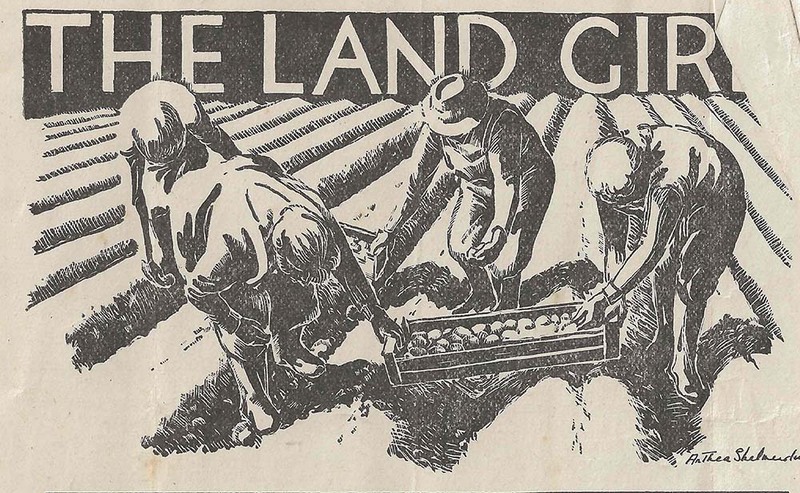 Yet, still after an intensive day on the farm, women put their talents to good use, representing their experiences to the readers of The Land Girl – and now for us as readers today. 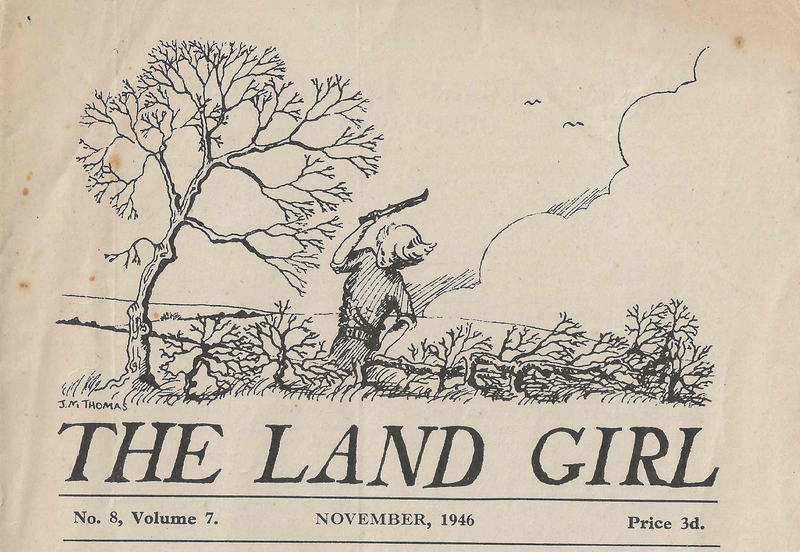 The Land Girl front cover drawings, from the July 1943 and 1946 editions.